Join us to hear asteroids and undead galaxies. We will also cover the latest astronomy in the news, and give away astronomy posters and postcards as well as some of our cool Astronomy on Tap beer glasses. Join our event on Facebook for up to date details. 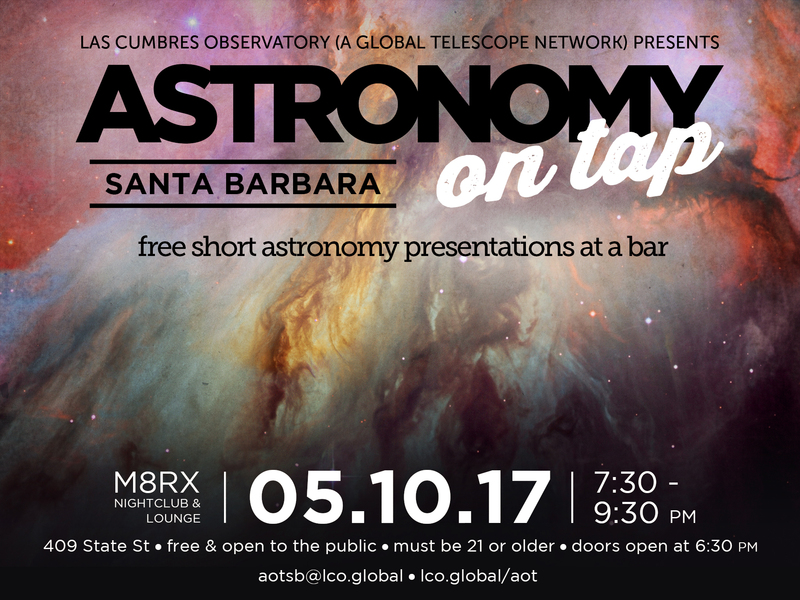 The event is hosted by Las Cumbres Observatory (LCO). This month’s speakers are LCO staff scientist Tim Lister and UCSC professor Kevin Bundy. Wednesday, May 10th, 2017, 7:30-9:30p. Doors open 6:30p. M8RX, 409 State St. Santa Barbara, CA.